<b>MAN WITH PLAN:</b> Tyler Thomas was lured from Sonoma to take a fresh look at Star Lane Vineyard in Happy Canyon, where he plans to meticulously study the grapes for the next decade or so in pursuit of wines that reflect the property's stunning beauty. Tucked deep into a long, lonely corridor of Happy Canyon and framed by the towering peaks of Figueroa Mountain, Star Lane Vineyard is the most visually striking slice of agriculture in Santa Barbara County. About 200 acres of vines meander from beneath windmills on the valley floor into steep foothills studded with knobby old oaks and wispy grey pines, then cling to cliffs above the hidden turrets and underground caves of a castle-like winery. The severe topography bodes well for the resulting wine grapes, which are believed to grow more distinctive and delicious when forced to survive in such challenging conditions. But more than a decade since the first vintage bearing the Star Lane name hit the market, there remains a sense that this should-be-iconic vineyard isn’t quite showing its full potential, that the magic so obvious to the eye has yet to shine in each sip. Tyler Thomas expects to change that. Hired in the summer of 2013 by Star Lane’s owners Jim and Mary Dierberg — a humble couple from St. Louis, Missouri, who grew First Bank from a regional rural lender to a national institution — the 37-year-old winemaker is meticulously analyzing each corner of the vineyard. It was planted in 1998, devoted mostly to cabernet sauvignon, with small sections of sauvignon blanc, merlot, cabernet franc, syrah, petit verdot, and malbec, as well. “You’ve got a varied distribution of quality in a vineyard,” explained Thomas, himself a St. Louis native who got degrees in botany from Colorado State before a ’round-the-world vacation sparked an interest in wine back in 2001 and led to a UC Davis master’s degree in viticulture and enology. “The average quality is going to be good, so the goal is to find the least and best tails of the bell curve.” Thomas is identifying which vineyard blocks produce the weaker wines and which produce the strongest. 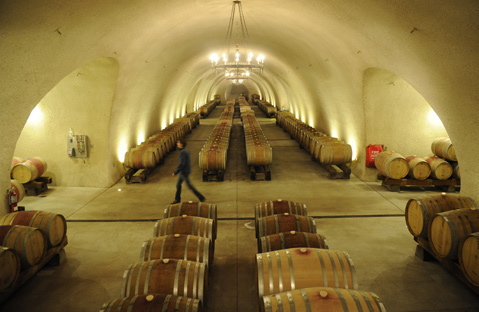 “If we can isolate the best tails, we can learn more about the vineyard,” said Thomas, who came to the conclusion that “good wine is discovered, not made” during previous jobs at Fiddlehead Cellars in Lompoc (his first harvest), Hyde de Villaine in Carneros, and Donelan Family Wines in Sonoma. He’s also stretching all available muscles in the no-expense-spared winery, a palatial though modestly hidden spread built atop an extensive network of custom-carved caves in 2004. The red-tile-roofed building is also home to Dierberg Winery, under which Thomas makes pinot noir and chardonnay from the family’s ranches in both the Santa Maria Valley (Dierberg Vineyard, planted 1997) and the Sta. 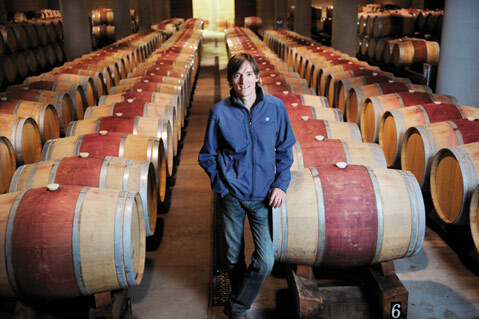 Rita Hills (Drum Canyon Vineyard, planted 2003), as well as the more modestly priced Three Saints brand.